Valtteri Bottas secured pole position for the Chinese Grand Prix, just a few hundredths ahead of Lewis Hamilton. Sebastian Vettel will lead an all-Ferrari second row on Sunday's starting grid. The first part of qualifying saw both Williams take to the track first. When they had set their first times on the board, both Ferraris had joined the track as well, and on their first laps, both were more than 3 seconds quicker. As that happened, the pitlane got busy, and traffic out on the circuit started to become a problem. Various drivers complained about that issue, but it didn't prevent Bottas to go fastest a few minutes later, edging out Hamilton by 4 tenths, and Verstappen by 6 tenths. Vettel was then relegated to fourth, 9 tenths behind. Hulkenberg similarly got himself to within a second of Bottas' best, and it were these 5 men who opted not to go out in the final minutes to do another lap. By then, Giovinazzi's qualifying was done, unable to record a time due to technical problems with his Alfa Romeo C38. Albon meanwhile didn't go out at all, as Toro Rosso were still busy fixing his car after a damaging crash in third practice. These laps moved Sainz firmly into the top 10, along with Ricciardo. Leclerc, having done just 11th due to traffic on his first outing, improved considerably to go second fastest. A solid effort, but one that saw him use an extra set of softs compared to the other front runners. Q2 saw Ferrari, Mercedes and Verstappen opt for the medium tyres to do their first laps, aiming to start Sunday's race on this compound. 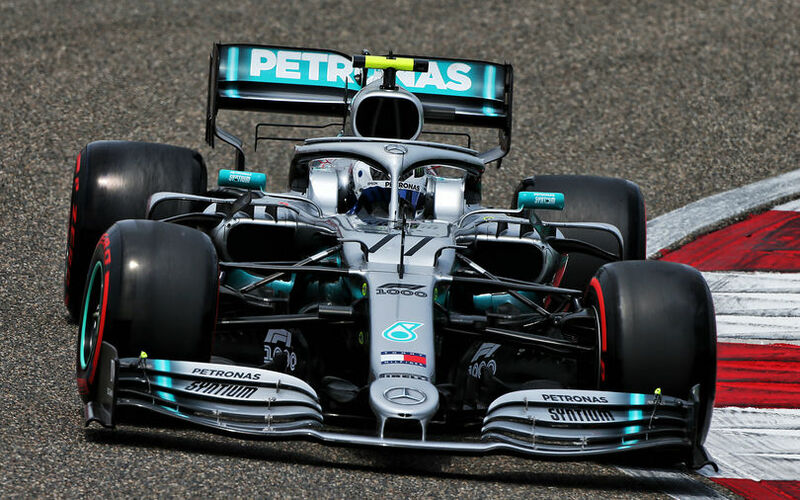 Bottas once again emerged as fastest, more than half a second ahead of the Ferrari duo as Verstappen was another extra 2 tenths further down. As has become normal, they all returned to the track on softs to do a little test for Q3 without actually improving their times. Hamilton on the other hand did make another run on the mediums, and ended up topping Bottas by 0.091s, an effect that will boost his confidence after having doubts with his car on Friday. Gasly joined up in 6th, and saw the top 10 completed by the Renault and Haas drivers. Kvyat was out by less than 2 hundredths, along with Perez, Raikkonen and both McLarens. The latter is also somewhat surprising, given their strong performance during yesterday's Free Practice 2. In the final part of qualifying, both Renaults were first out on track, soon followed by the Mercedes drivers. These first laps were a confirmation of what could been in earlier sessions, as Bottas easily had the better of the Ferrari drivers and everybody else. Hamilton though got close, thanks to a lightning fast final sector, ending up at 0.007s of his team mate on their first efforts. Both Red Bulls were also close, and Verstappen even managed to go faster than Leclerc. Gasly was 6th fastest, but crucially 8 tenths slower than Verstappen and Leclerc. The second attempt immediately saw Hamilton do purple S1 and S2 while Bottas didn't improve on his previous first sector time. Bottas did go faster in S2 and S3, enabling him to eventually stick to pole position, taking it by 0.023s over Lewis Hamilton. Vettel stuck to third while Leclerc managed to improve to take 4th, just 0.017s slower than his team mate. This dropped Verstappen to 5th as he wasn't able to improve. In fact, he tried to go so slowly on his warm up lap that he got passed by Vettel and both Renaults before the final corner, forcing him to go even slower and ruin his own flying lap. In doing so, he also troubled Gasly, who was just behind, and subsequently was also unable to improve. Daniel Ricciardo outqualified his Renault team mate for 7th, while Magnussen and Grosjean ended up in 9th and 10th. The Haas pair had an early end to qualifying, as they were too late to start their flying laps, getting the checkered flag as they crossed the line.